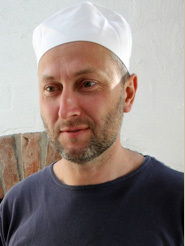 Meet Graham Prichard your sour dough making guru. Whilst he's not written anything specific for these pages, Graham has been a great source of information and support to us over the last year or so and no Australian wood fired bread baking guide would be complete without acknowledging his work. 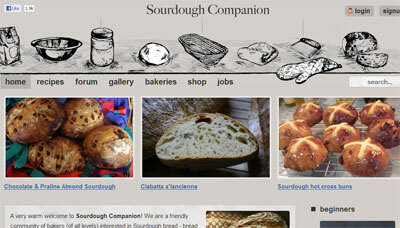 Graham is a stand out sour dough baker. Even if you haven't been lucky enough to get to Tassie and try his bread, you may remember seeing him featured on the first series of the SBS program Gourmet Farmer or more recently on the ABC's Poh's Kitchen? Anyway, from his base in Oatlands in Tasmania, Graham operates the Companion Bakery, which features a huge Alan Scott built wood-fired oven. Across the road from the bakery is the Callington Mill, a fully restored 1830's windmill powered, stone-ground flour mill (featured in Masterchef, 2012). With the mill processing only local wheat and grains and the bakery using only natural levens and organic produce, Graham truly lives his bread beliefs. In 2005, Graham and his son Maedi started Sourdough Companion, an amazing online community populated by people passionate about sourdough. The Artisan Baker Association (ABA) grew from this community. The goal of this organisation is to ensue healthy connections between bakers and bread eaters by setting definitive standards. These standards have now been adopted by (and are used for the accrediting of) bakers world-wide. As part of his commitment to the 'real bread' cause, Graham runs regular tours of the bakery and mill and also conducts serious sour dough classes for both domestic and professional bakers. So, if for you, bread making is not new (as it is for me) and you already have some grasp of method and technique (the kind of stuff Scott teaches) and your bread quest is starting to verge on a religious experience, there's no better place to become an initiate then through the Sourdough Companion website and forum.